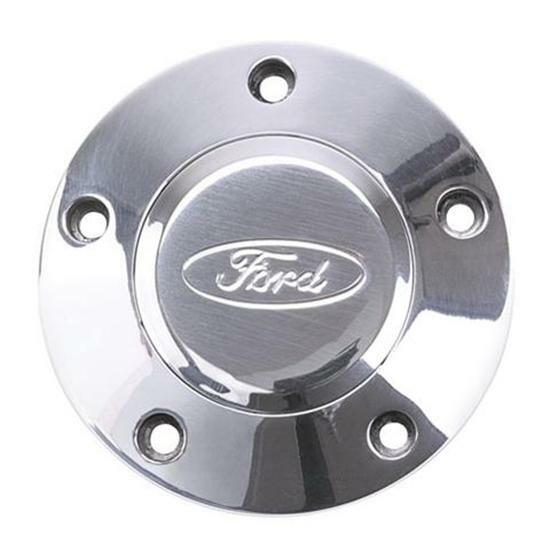 Ford Oval Horn Button Cover. Polished billet style center cap to fit Signature Series such as part numbers 410-742 & 410-1170. Note: This is not a functioning horn button. It is a cover piece only!